Top Tourist acquires the Boutique and Breakfast website. 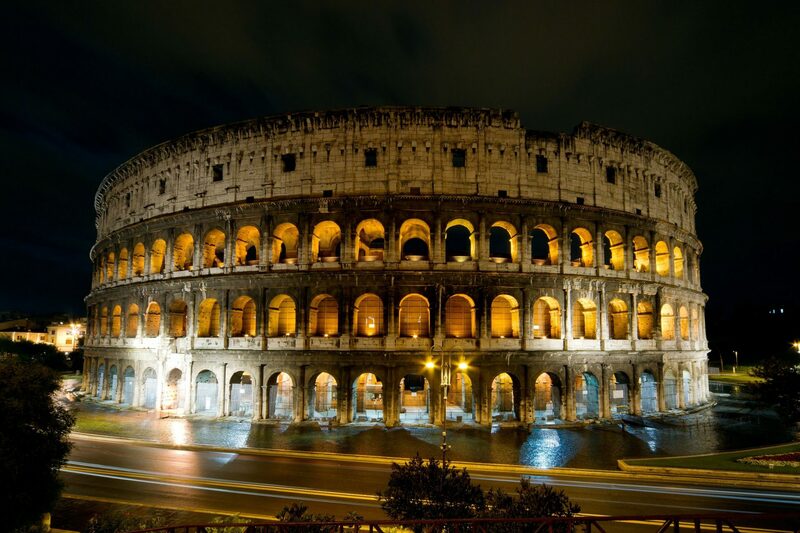 On 13 November 2018 Top Tourist added Boutique and Breakfast to it’s growing portfolio. This established website provides a carefully curated collection of handpicked Boutique Hotels, B&Bs and Luxury Self Catering Accommodation across the UK and Beyond. 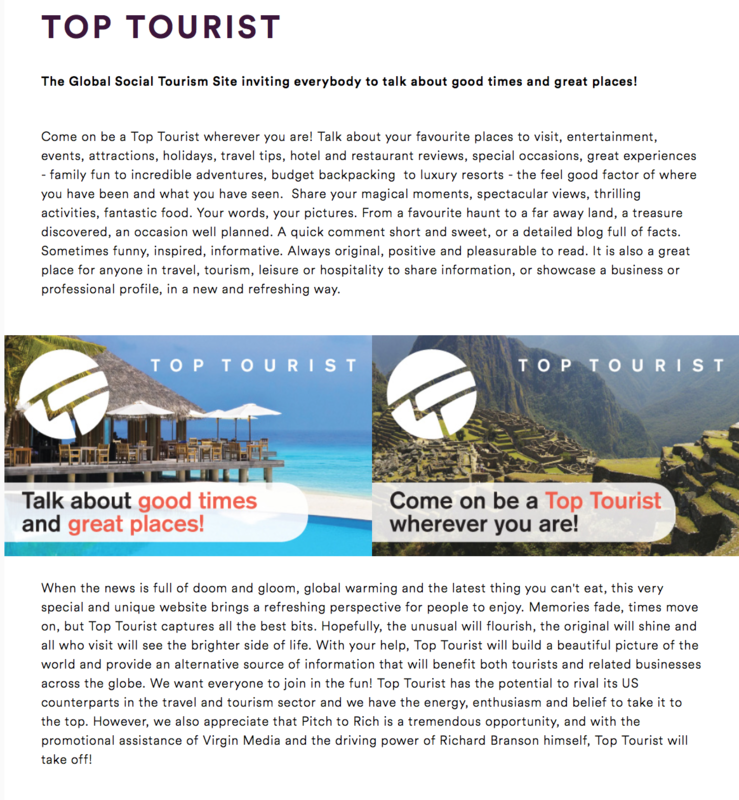 Top Tourist is a growing global provider of online marketing and digital promotion for the travel and tourism sector. 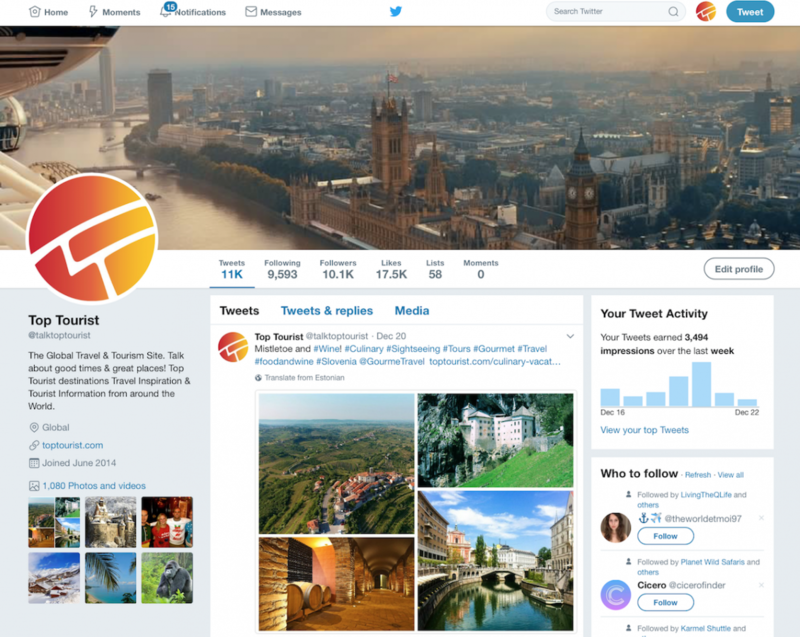 We are delighted to add TouristNet UK to our portfolio, an established online UK tourism directory of some twenty years standing. The site underwent extensive redesign and a new fully responsive interactive website was launched in March 2018. 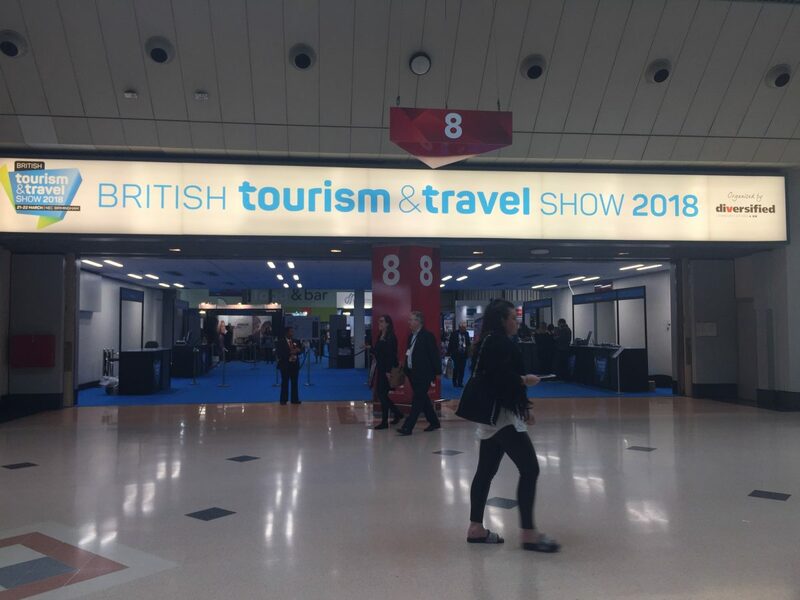 Top Tourist was invited to attend the British Tourism & Travel Show at the NEC Birmingham in March 2018. This was a throughly enjoyable event which was a great opportunity for us to promote our brand. A huge thank you to all our Twitter fans, 10K followers and rising. 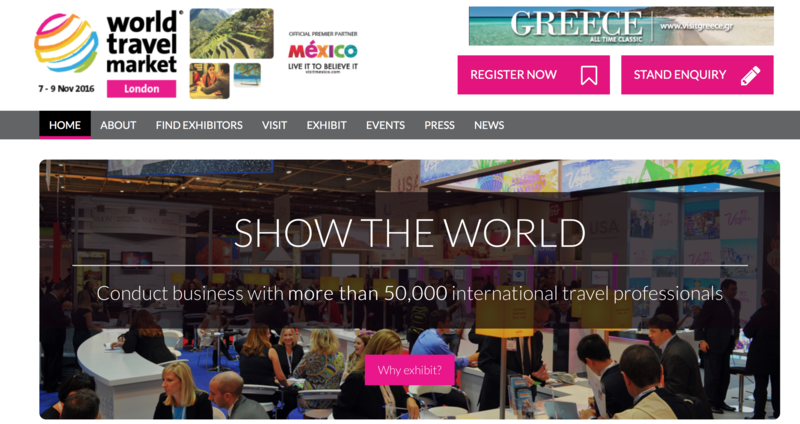 In November 2015 we were invited to attend the World Travel Market Exhibition, another important event not to be missed if you are associated with the Travel & Tourism industry. It was a pleasure to meet with some of the contributors to our site, Top Tourists from Kenya, Tanzania and Bhutan, to name a few. A very sociable event, with lots of chat about our exciting new approach to promoting travel and tourism around the world! 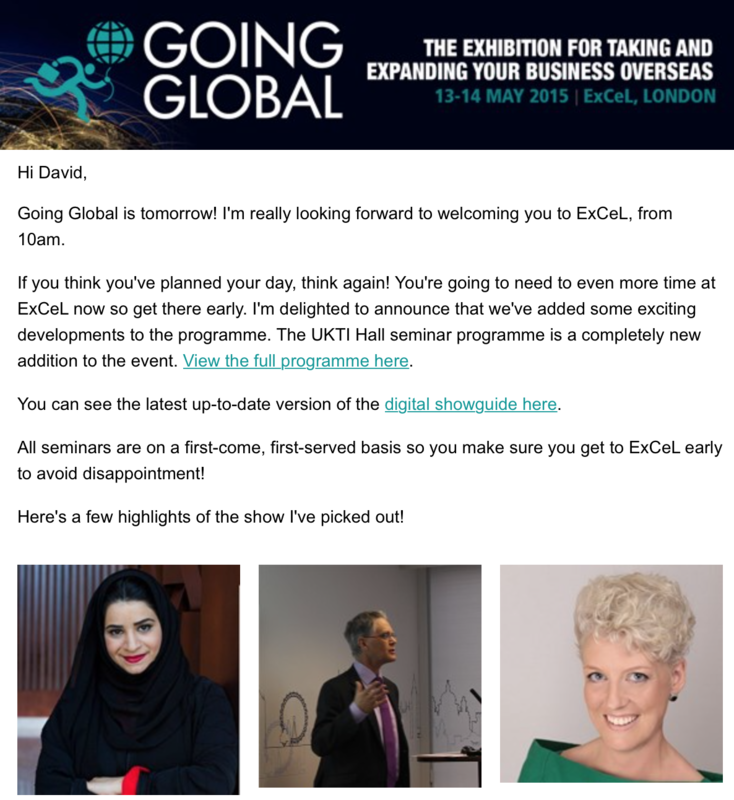 May 2015 saw the return of Going Global, the exhibition for taking and expanding business overseas. We very much enjoyed meeting new friends from across the globe and took away some useful information about introducing Top Tourist to businesses abroad. 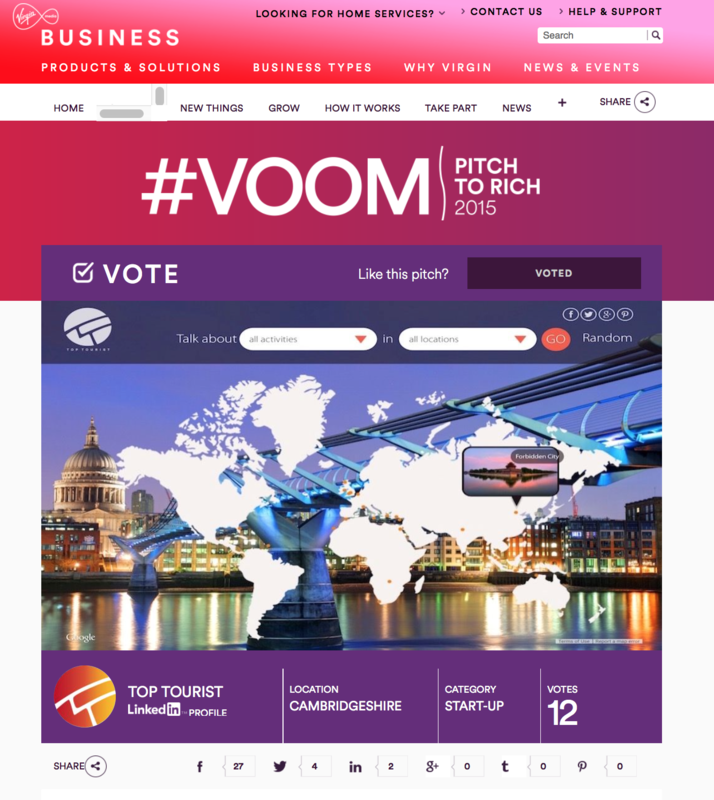 Top Tourist entered the Richard Branson’s Pitch to Rich competition in June 2015. We were delighted with the response we had from people who voted for us, especially as we came into the competition so late. A big thank you to everyone who got involved!